Looking for something new and different for your kids? Have you ever noticed how difficult it is to find cute clothes for girls that don’t have characters from TV shows or movies on them, don’t say things like “flirty” or “sassy” and have nothing to do with princesses or being bad at math? Tired of books that only depict girls as being interested in shopping, make-up and fashion or being constantly rescued by strong boy characters? What about books that feature girls as heroes? Sound interesting? 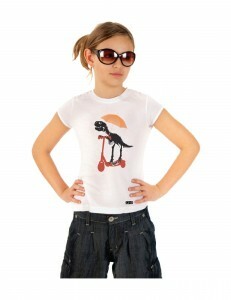 How about t-shirts that have fun graphics and cute designs that allow girls to express a wide range of interests? Well, I’ve found a great option for you! Princess Free Zone has it all! And so was born the Princess Free Zone, and the realm of a distinctly different super hero: Super Tool Lula. With a book coming out soon and even fun songs about Lula, this brand is growing! 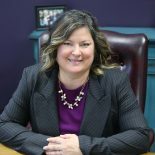 Michele says, “Girls need to know that they can do anything they want—that might include hammering a nail into a wall or fixing a broken faucet. But just saying the words doesn’t make it so.” She believes a girl can wear a tiara if she wants, but she should feel free to take it off as well. So think about giving your business to a company that has a mission you can believe in. Check out the Princess Free Zone for fun, graphic tees and a hero that girls can relate to! Jen I am loving all your clothes realted blogs for girls. Having boys I don’t have to think about this much but I believe these is a good call for empowering messages on t-shirts as well as funky designs that are not gender specific. Girls, women we can be whoever and wahtever we want to be. I love the idea of fun, non-gendered clothes for kids! This entry was posted on September 30, 2011 by Jennifer Shewmaker in What's out There That's Good and tagged child development, Clothing, Girl, Media and children, Princess Free Zone, women and power.